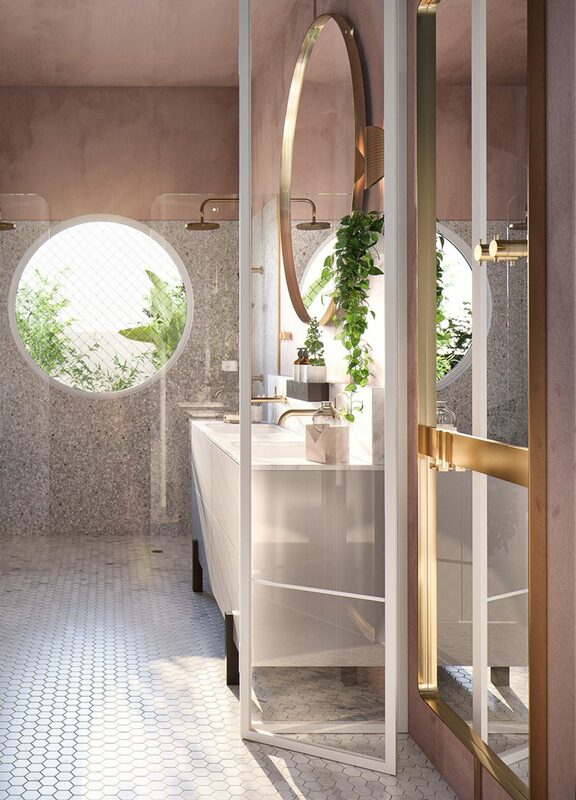 This bathroom is inspired by the 70’s bronzed goddess who drifts through a Mediterranean summer. The circular form and organic lines used throughout, creates a space that centres itself around rejuvenation, naturally lit by reflective surfaces and a paler shade of tile and stone. 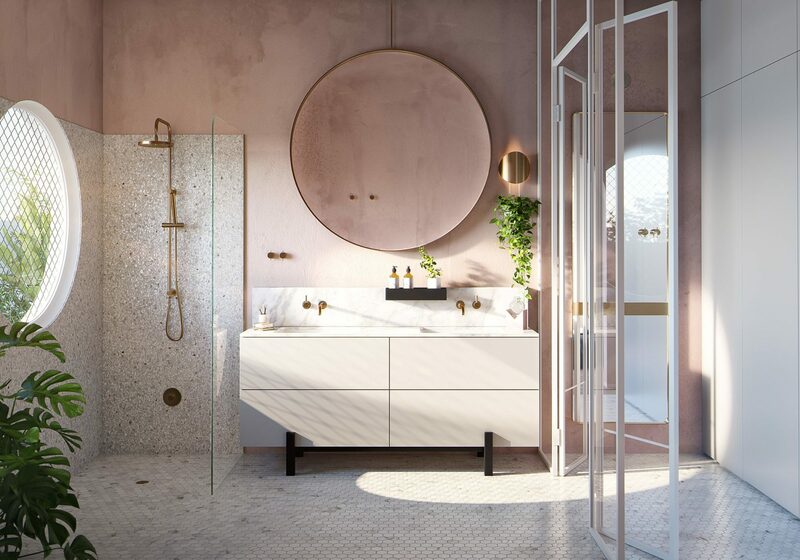 Drawing inspiration from Monaco to Morocco, elegance and adventure has found a place to recharge with a bathroom that has been designed with a female James Bond in mind.